was still around the lifeline. After that as was mentioned 18900-19000 zone should be the next resistance zone and market made a top at 18895 near to 61.8% retracement. Similarly all global market did similar retracements of 61.8% of last crack. Also the world indices rebounded as we had mentioned in our post with charts of dow , ftse , hang seng . 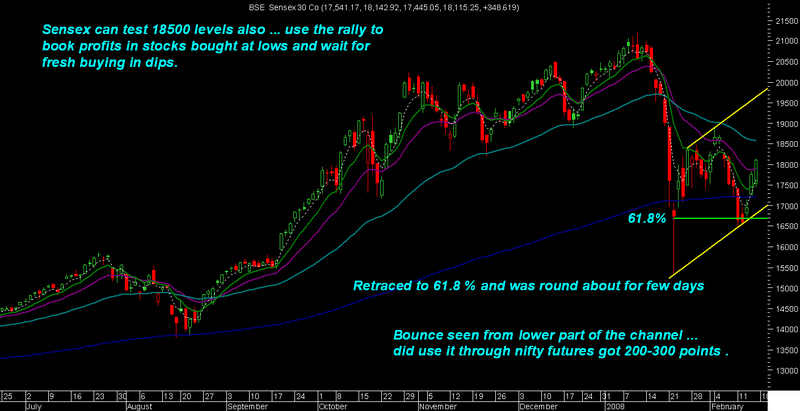 Sensex did a 1000 point upmove after that. 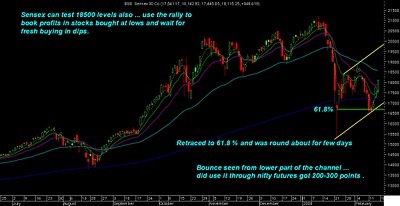 Sensex again tested the crucial level of 16500 after breaking intermediate supports but continues to close above it. bullish move till then the strategy should be to pick long term investments on dips and traders should exit on rise and re enter only on dips. ( as mentioned before ) Another thing to note is all the corrections which touched the lifeline and larger magnitude corrections the consolidation period near to the bottom takes around 4-8 weeks. May 04 , may june 06 ,March o7 are the instances which have been seen. we are already 3-4 weeks through and we will see stability in next 2-3 weeks annd more clarity . Long term uptrend remains strong only till the lifeline is maintained and investors should continue to look for value. Cairn looks good to be bought on declines as has made a good bounce back and close above 220 would be a fresh breakout. People can read the post 3-4 days back on attractive mid cap stocks. 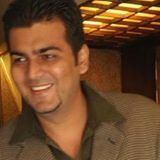 People interested for technical analysis session Mumbai can contact Nooresh as scheduling a session in in Feb end or March 1st week.